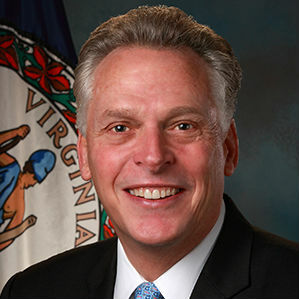 Governor Terry McAuliffe has announced the members of the Governor’s Council on Youth Entrepreneurship, which was established last month through Executive Order 47. The Council will be responsible for coordinating and implementing youth entrepreneurship initiatives and fostering the growth of the entrepreneurial ecosystem for young people in Virginia. The Council, which will be co-chaired by Secretary of Commerce and Trade Maurice Jones, includes student innovators, entrepreneurs, business leaders, and educators from every region in the Commonwealth. Working with higher education and other public and private sector resources, the Council will conduct a comprehensive assessment of current local, state and federal programs and services available to young entrepreneurs. The Council will work closely with institutions of higher education and other state agencies to grow vibrant regional ecosystems across Virginia, while supporting opportunities to advance research, innovation and commercialization at Virginia’s colleges and universities. The initial report of the Council’s assessments and recommendations is due to the Governor no later thanDecember 1, 2015. The first meeting of the Council will take place in the fall, and will be open to the public. Additional information will be posted as it becomes available. The full text of Executive Order 47 can be found here.